There are many ways in which mantra can bring benefit and alleviate suffering. 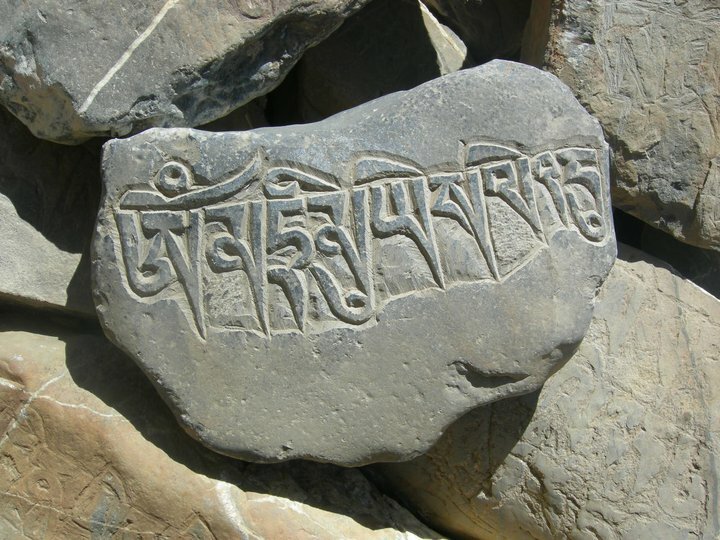 In addition to recitation, printing on prayer flags, hanging above one’s doorway, and wearing on one’s body, mantra are often carved into stone and placed outside. This brings benefit for the carver and for those inhabiting the environment where the mantra stone is placed. Posted on January 28, 2013, in Prayer and Ritual, Uncategorized and tagged Asian studies, Buddhism, mantra, sacred art, spirituality, tibet. Bookmark the permalink. Leave a comment.